Calabash Mountain Villa is an intimate eight-room villa that sits unobtrusively on a mountainside among the fruit tress of St. Lucia’s interior. You will savor the enchantment of the mountain valley and the sights, sounds and scents that invoke reflection and revitalization. We are flexible, reserve a wing for your family or group; reserve two adjoining rooms for a family or close friends; or reserve individual rooms. Each spacious room has its own bathroom, ceiling fan, air-conditioner, a small refrigerator, television and private terrace. Your breakfast is included and you can add the dinner plan or you can opt to do your own cooking in our fully-equipped “community” kitchen (a small service charge applies.) 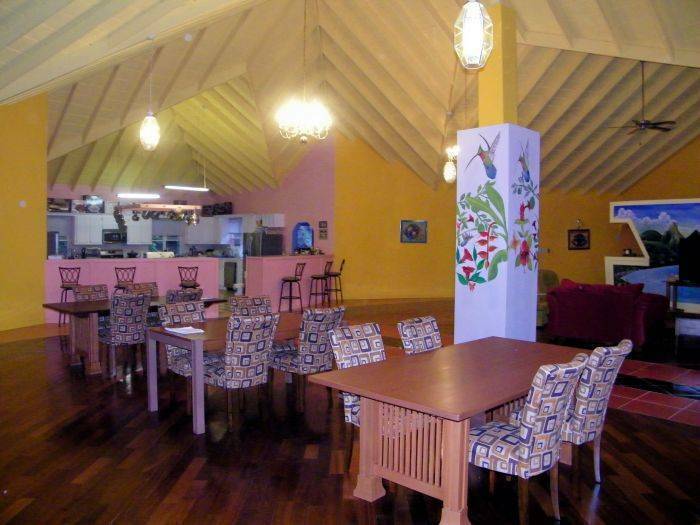 Our common area has both a dining area and a living room area for your dining and relaxation pleasure. There is an outdoor-swimming pool on-site. The beautiful beaches and many other popular tourist sites are close-by. 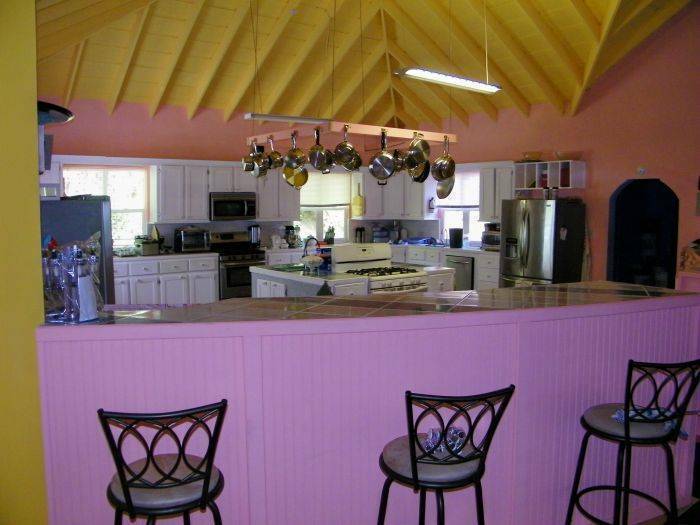 Calabash Mountain Villa is not your typical villa. Consider our rooms your home away from home. You’ll enjoy the privacy and comfort of your own beautiful room and share the villa’s common areas with your extended family, who, like you, delight in the lush greenery of the mountain range area. Rooms each have a private bath, chest of drawers, small table and chairs, air-conditioner unit and a ceiling fan, personal terrace with uninhibited views of the mountains. One pair of rooms is adjoining. And the master bedrooms feature a bay window in addition to the terrace. 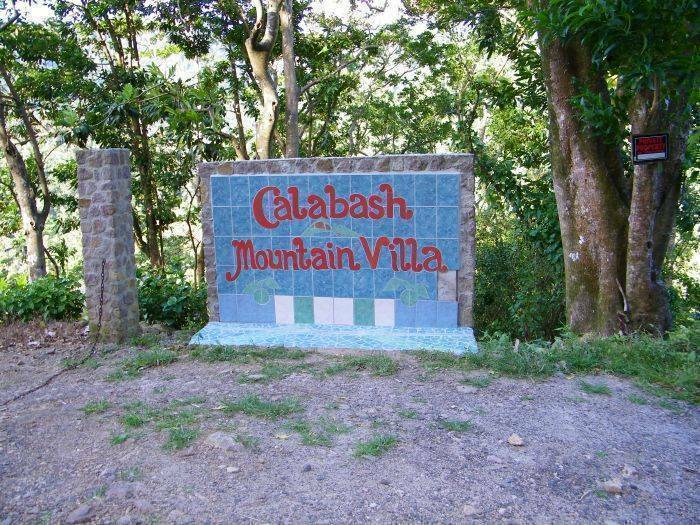 Calabash Mountain Villa is located in a local neighborhood where a broad cross-section of local residents have their homes. This area is between Fond St. Jacque and Bois D’Inde in the interior of St. Lucia. This is a mountainous area with plenty of fruit trees, spice trees, and other vegetation growing. You will find livestock on the property of some local residents, a natural way to keep the property well groomed. You will see local rum shops and gathering spots where folk gather for the domino competitions. Come stay where you can be among the locals going to and from their daily chores and to the small churches that are located in this community. 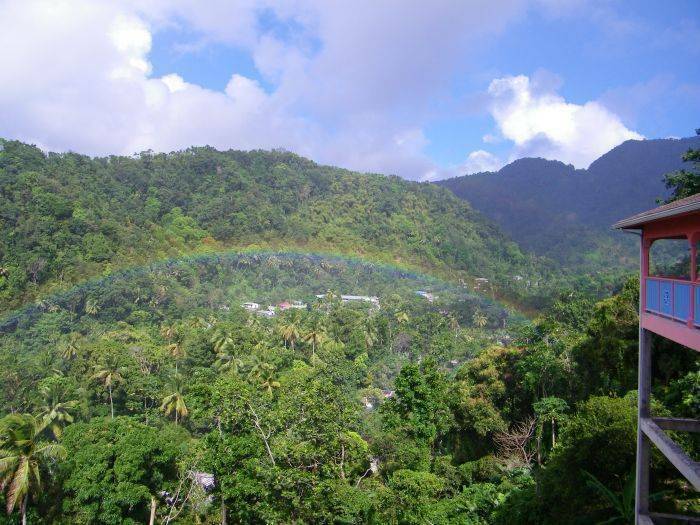 Staying at Calabash Mountain Villa will give you a true feeling of being a part of this beautiful island. Botanical Gardens, Mineral Springs and Diamond Falls – 3 ½ mi. Gros Piton Climb and Piton Trails – 5. 5 mi. Walk-through Volcano and Sulphur Springs -5. 5 mi. 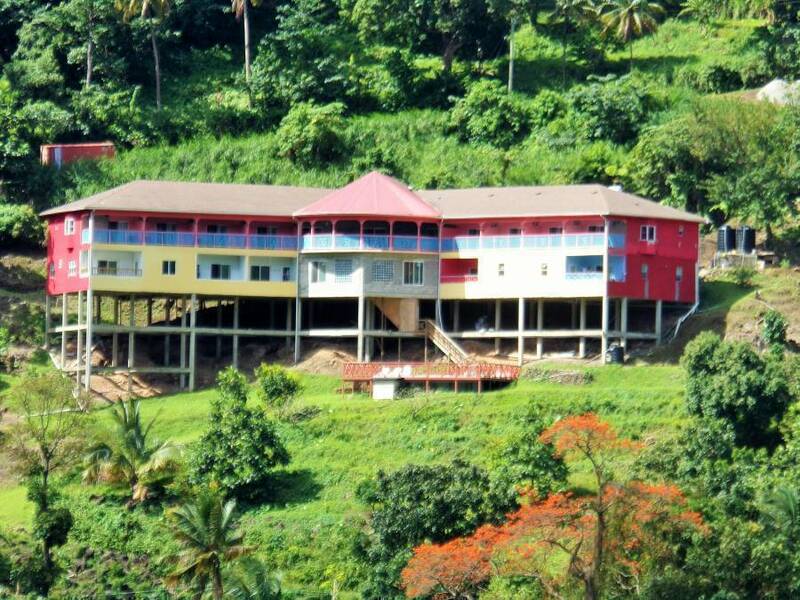 Town Square Soufriere and Souvenir Shop – 4 mi. Jerusalem Falls – 2. 5 mi. Soufriere Waterfront- 4. 2 mi. Soufriere Market – 4. 5 mi. Piton Waterfall and Petite Piton/Hikes and Climbs – 6 mi. Rainforest Hike – 4. 5 mi. A room rental deposit of 30% is required and due upon reservation. The balance of total payment is due 15 days before arrival date. Full refund will be made for cancellation 45 days before arrival date and 50% refund for cancellations 25 days before arrival date. No refund for cancellations less than 15 days before arrival date. *Rates may change from time to time. 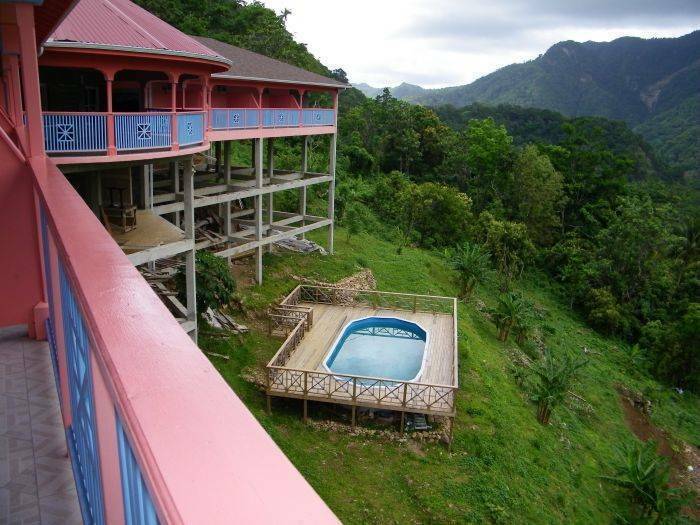 Calabash Mountain Villa is located in a local community, off the beaten track in the Soufriere District, between Fond St. Jacque and Bois D'Inde. We are between Esperance Road and Bois D'Inde Road.